and a substantial pay rise. 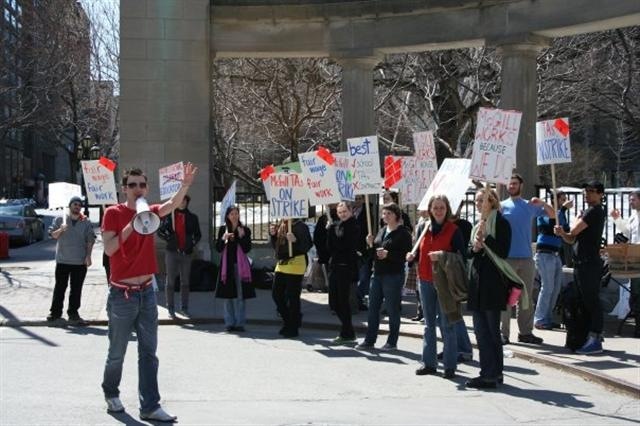 AGSEM, the TA union has been negotiating with the McGill administration since October but only after a strike was called in early April did McGill begin to move. The first moves were however to intimidate current TAs by firing them from additional jobs that some of them had, as invigilators or research assistants. Whether that’s actually illegal or not is currently being fought out in court, but no matter how this process is going to end, it certainly is bad for McGill’s reputation in general. To find out more from the union’s point of view, watch the following video or go to http://www.agsem.ca/. (links to media coverage included) To find out more about more about McGill’s point of view click here.